MX908'M leverages high-pressure mass spectrometryTM (HPMS) to deliver dramatically enhanced sensitivity and broader threat category coverage. 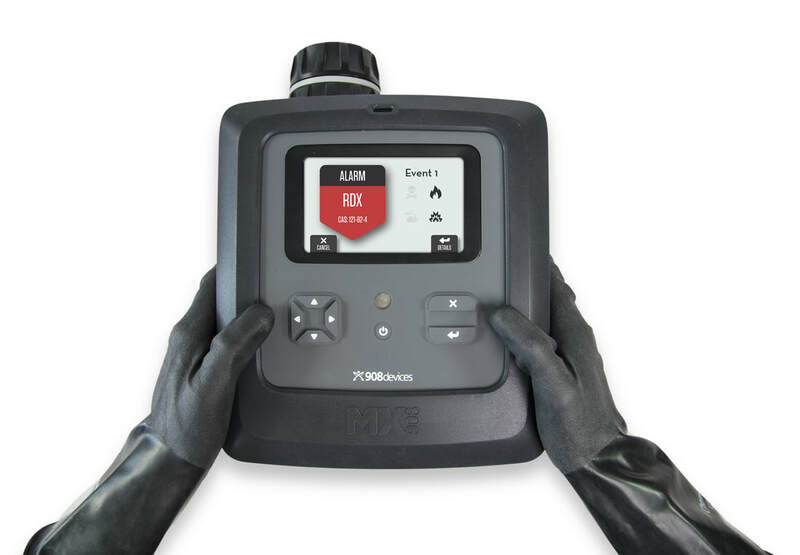 This second-generation tool increases mission support with unmatched flexibility and trace detection power for elite responders in chemical, explosive, and priority hazmat scenarios. MX908 lightens the overall technology burden by displacing other less selective technologies from the response toolkit. With the enhanced proficiency of high-pressure mass spectrometry (HPMS), users can lighten the technology load of tools required downrange. With sensitivity levels comparable to ion mobility mass spectrometry (IMS) and significantly enhanced selectivity, MX908 can detect trace quantities (low- mid ppb) of priority threats amongst the myriad of interferents that plague other less selective technologies.